Under LB155, introduced by Sen. Tom Brewer of Gordon, use of eminent domain no longer would be authorized in order to provide access to build transmission lines or other infrastructure related to a privately developed renewable energy project. 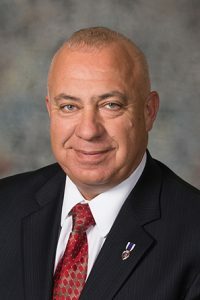 Current Nebraska law allows a landowner, who has contracted with a wind energy company to host turbines on his or her land, to use eminent domain to access neighboring land to connect the turbine to the electrical grid, Brewer said. Brewer said he was “baffled” that a private transaction could be considered a public use, and that it was wrong for a private citizen to use eminent domain for financial gain to the detriment of his or her neighbor. “Next to property taxes, there is nothing more important to my district than the ongoing, adverse effects wind energy is having on my constituents,” Brewer said. Brent Steffen of Kearney testified in favor of the bill. He said the central issue of LB155 is not wind energy, but property rights. Barbara Welch of Thedford also testified in favor of the bill. Welch said she and other residents of the Sandhills are deeply connected to their land, and she takes personal offense at the use of eminent domain to gain access to her property. Richard Lombardi, representing the Advanced Power Alliance, testified against LB155. All wind projects involve multiple landowners, Lombardi said, leaving a project vulnerable to one landowner who is unwilling to grant access. “Our concern is that transmission capabilities would be denied,” Lombardi said. Lucas Nelsen of the Center for Rural Affairs also testified against the bill. Nelsen said his organization advocates for green energy projects and that LB155 would make those projects more difficult.